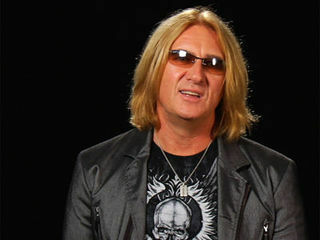 Def Leppard resumed their North American tour last wednesday (July 27) in Cincinnati after postponing several gigs following the death of singer Joe Elliott‘s father on July 7. In addition, Elliott has posted a ‘thank you’ note to his fans for their support. 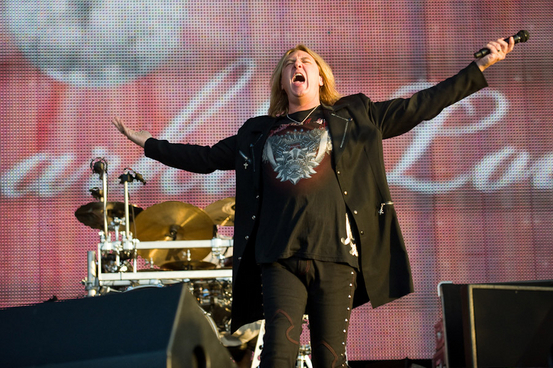 The band postponed a total of 11 shows and canceled its appearance at Wisconsin’s Rock Fest as Elliott mourned the death of his father, Joe Sr., who passed away after a long hospitalization following a series of heart attacks. By now most of you will know that my Father passed away after a long illness, on July 7th, aged 81. This is why some of our shows have been rescheduled, & quite frankly, why I might have been “off my game” recently, & for that I can only apologize. Going into the rehearsals & tour, even with a sick father’s blessing, is a lot harder than I imagined it to be, & through all the jokes & smiles during interviews & indeed up on stage, there’s an inherent sadness & worry you just can’t shake … and as we like to say, you can’t unscramble an egg, …. it IS hard to deal with, but you all know, we are the kings of getting on with it, so we shall prevail, …. which brings me back to the title of this piece …. Last night was the first show back after the enforced break, the first show I’ve ever done without a Father, & can I say to the good people of Cincinnati Ohio, THANK YOU FOR MAKING IT THAT LITTLE BIT EASIER TO DEAL WITH BY BEING “SO” GOOD !!! … I’ll admit, I ran out of gas last night, by ‘Photograph’ I had nothing left to give … it WAS emotional, yes, but it was over 100 degrees on stage too, which didn’t help either, but you guys carried me over the last part of the show on a wave of goodwill that I will never forget !! I had to get the first show, wherever it might have been, out of the way, to help me move on as it were, & after experiencing a reception like we did last night I wouldn’t have wanted it anywhere else !!! …. I hope the rest of the shows are as good, and I’m sure they will be, but for now, last night emotionally at least has helped my through the hardest few weeks of my life, & I thank you all for that. Also, I thank everyone who has sent condolence messages to my Mum and me, mainly through the Planet Rock account, way too many to reply to, so please take this as a great big THANK YOU !! … my old man would be well proud !!! … as he was when I photographed him sat on Rick’s Kit at the Don Valley Stadium gig back in 1993, the photograph below is something I thought I’d like to share with you all …..
Joe’s Elliott’s father (“Joe Senior” to all that knew him well) suffered a significant heart attack in April this year, whilst in ICU he suffered two more attacks. He was very low for a week or so. I was not surprised to hear from Joe a few days later that his dad was making a remarkable recovery. Not surprised because I knew him to be made of old style bricks and mortar, upright, forthright and as tough as nails. He was a gadget maker, he showed Joe how he devised home made radios, model aeroplanes and air rifles amongst other projects, in his spare time. At the hospital Joe discussed the upcoming tour with his recovering father. Joe Senior insisted that his son go ahead and do the thing that had always made him proud. Joe packed his case and departed to start the 2011 tour. When Joe recently heard that his dad’s condition had deteriorated severely he had to think seriously about his next move. We had already arrived at the next show when the news arrived. Joe decided to go home to support his father and mother but he insisted on doing the show that night in honor of his father: a tribute to the person who, had he not supported and financed his son and his friends, then Def Leppard, as we know them, might never have been – and we might never have had the pleasure of listening to the music that spans more than 30 years from a group that has survived amidst great challenges and against all odds. That night Joe appeared to be tearful coming off the stage for a change of shirt, at the end of “Love Bites”, I checked to see that he was OK…He explained that it was his dad’s favorite tune. The next day, I took Joe to the airport and he flew to his father’s bedside. A few days ago, his condition worsening, Joe Senior finally succumbed to his increasing illness and passed away quietly in hospital. Joe and his mother were together at the hospital. At the age of 18, Joe had an opportunity to join a band. The band met regularly in Joe’s bedroom in the family home in Sheffield, UK- with the full support of his parents. 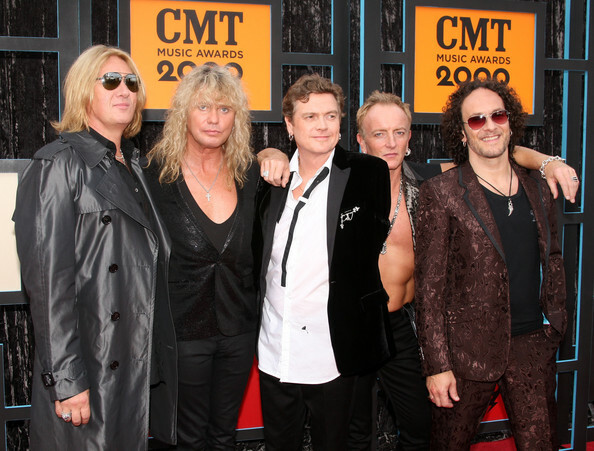 That band came to be known as Def Leppard. In 1978 Joe asked his dad for some help to finance the recording and release of the first few songs written by the young and up and coming musicians. Joe senior put up 150 UK pounds. (at that time, about $500.) They recorded at Fairview studios in Hull, East Yorkshire, it cost 148.50 and with the loose change they shared fish and chips on the way home. (Joe’s mother Cindy played guitar and taught Joe his first few chords, Joe Sr. actually recorded, on a primitive cassette device, Joe’s first ever song. Joe was eight years old. The song was entitled “Goin’ Forever”). Joe Senior will be missed by Cindy, Joe and all of us that knew him.